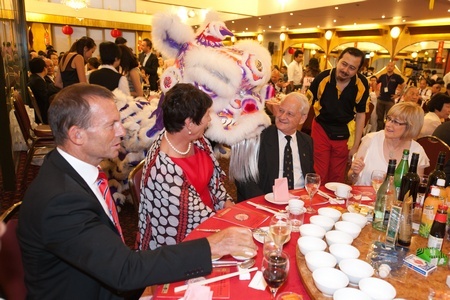 The ACCF Chinese New Year Community Dinner was held on 28 January 2012 at the Marigold Restaurant to welcome the “Year of the Dragon”. It was well attended by over 370 participants from more than 30 organisations. This year ACCF donated $5,000 to each of two organisations that support children with disabilities – they were the Chinese Parents Association – Children with Disabilities Inc and Special Children Services Centre Inc. We were also delighted to receive a matching donation of $10,000 from Mr and Mrs Ngai of ABC Tissue Products Pty Ltd to further assist these same two organisations. Click to view photos of the night. Some photos are by courtesy of the Sing Tao Newspapers, the Chinese Herald and the Austar Media.